(Omaha, NEBRASKA) – If your resume needs a redo, your Linkedin profile could use a spruce up or your online biography (sample) would benefit from a professional Omaha writer’s overhaul, you’ve come to the right place. Omaha copywriter Susan Stern is the go-to wordsmith to handle all your writing needs on and offline. With 25+ years’ experience, combined expertise as a broadcast journalist, public relations practitioner and website copywriter and graphic designer, you’ll receive the best resume, cover letter and career search consulting services in the metro. In this day and age, writing your own resume when you are not a writer – makes zero sense. You want to be noticed. You need to hire a professional writer to get the job done right! “I specialize in writing for any industry using buzz words, tight verbs and descriptive adjectives. My process includes extensive research, writing, proofing and editing with client, and use graphic design to create a custom header for the resume, letterhead – that my clients love because it sets them apart from other job seekers. I also offer consulting services to help you get through the maize of time-consuming online applications,” notes Omaha writer Susan Stern. From judges, executives, CEO’s, COO’s, white and blue collar staffers – you name it – I’ve helped them further their careers by creating individual branding via resume, Linkedin profile, online biographies, professional email account signatures, creative graphic design cover pages – and so on. 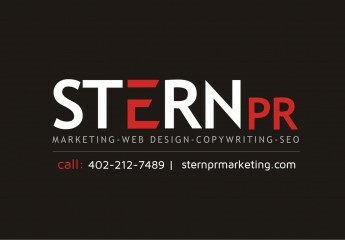 Omaha writer Consultant Susan Stern is the solution for positive public relations for people, organizations and business. Turn-around time is several days typically, but immediate assistance, if you have to get your resume out asap – is available, too. Send Omaha resume writer Susan Stern a note, now. The price of the full image package ranges depending on project complexity. A deposit is required. Stern shall upload your files to Google Drive, in both MS Word and PDF.